With the release of Pokémon Go as well as Pokémon Sun and Moon, Nintendo’s franchise is bigger than ever in 2016. It’s not just limited to kids. Adults everywhere share in the fun with their children and even grandchildren. If you’re looking for a gift idea for the Pokémon fan in your life, here’s everything you need to know. I’ve been playing Pokémon Go since launch and am certainly a self-diagnosed addict of the game. Something positive has come out of all of it. I’ve gotten out and seen the world a little bit. This has been a much-needed break from my general day to day of sitting behind a desk and writing all day. 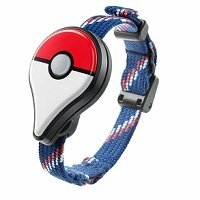 If you’re searching for a gift for the Pokémon Go player in your life, here are a few ideas I think any serious gamer would love. The Go Plus allows players to play while they are on the go without having to have their phone out. This not only saves battery, it allows you to play the game when you typically wouldn’t. When the LED on the GO Plus lights up it gives players two options. 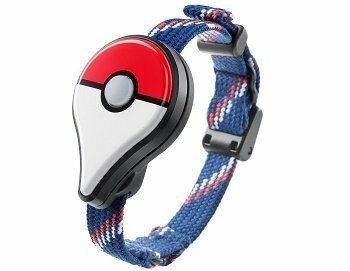 They can press the button to throw a Poke ball, standard only, or open up the app on their phone to catch it there. Some players have reported that the Go Plus is always out of stock. We’ve seen it in stock several times so just keep trying and you’ll find it. 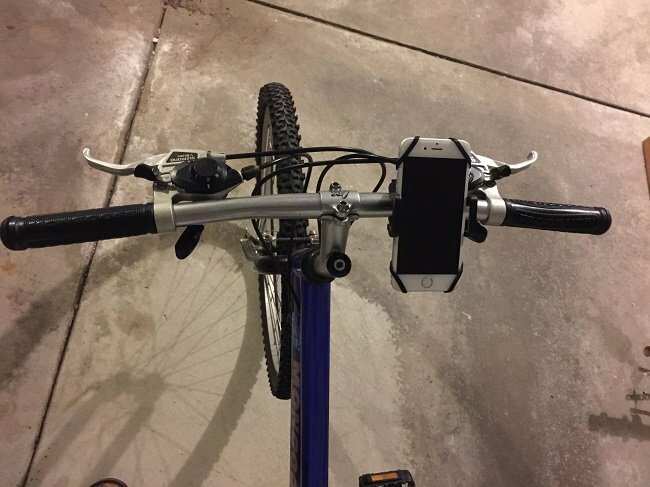 If you bike while you’re playing, I highly recommend this bicycle phone mount. As Niantic recently made it so that traveling over 30 MPH will remove sightings from your map, going in a map might be a better option than having your friends drive you around in a car. 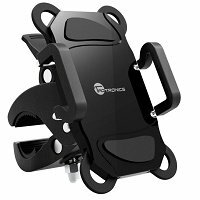 The mount holds phones between 2 and 3 inches wide and has rubber grips and a silicone pad for keeping it in place. Anyone that plays Pokémon Go knows that it’s a huge battery drainer. If you’re going to be out more than a couple of hours at a time, you need a battery recharger to keep you going. One with Qualcomm Quick Charge 2.0 or 3.0 charging is ideal. 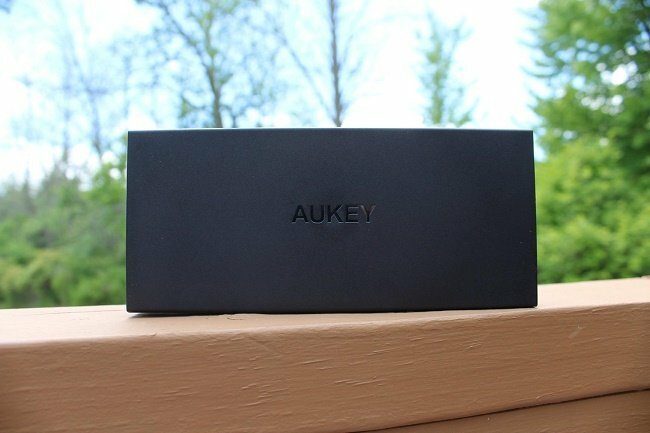 Auker is a company that makes quality options that don’t cost a fortune and really do a good job of keeping your phone charged. 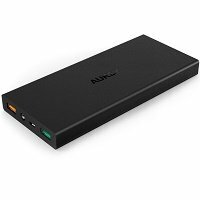 The Aukey 16000mAH portable charger is an inexpensive option that should charge your phone around 6 times. Most importantly, it can charge quick charge enabled phones as much as 75% in 30 minutes. 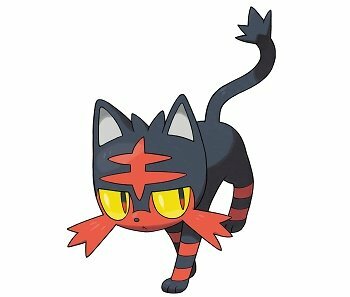 Pokémon Sun and Moon have new Pokémon like Litten who attacks with flaming hairballs. He is one of three starters along with Rowlet and Popplio. If you’re looking for a good Pokémon gift idea this Christmas, the Pokémon Sun and Moon games are probably number one. 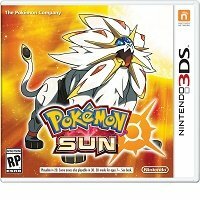 Sun and Moon include many brand new Pokémon. They also include the brand new Hawaiian-esque region of Alola to explore. You’ll hop from island to island exploring while catching and caring for Pokémon. Like the classics? It’s home to familiar Pokémon as well who have migrated there. Wondering if this is something you want? Play the demo. In it, you get to do a lot of things like jump on a Tauros and dash through the rocks of Carat Hill. You’ll also be challenged to catch as many Pokemon as you can in the Catching Challenge. If you’ve ever played any of the 3DS games you know they offer hours and hours of entertainment. Best of all they are easy to take with you on the go with your 2DS or 3DS. 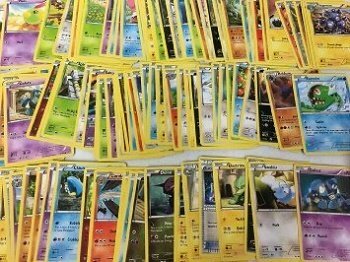 If you have kids that just want a wide variety of Pokémon and aren’t too serious about collecting, these assorted packs are a pretty good idea. They’re inexpensive at around $14 and give your kids 100 common cards (some will be duplicates) along with 6 free foil cards for cheap. If you’re an experienced player and collector, you’ll want to avoid this pack as it won’t have what you’re looking for. That being said, it’s still great for the beginning collector. 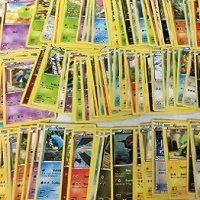 Experienced collectors are typically looking for specific cards from series or booster packs from the newest series. 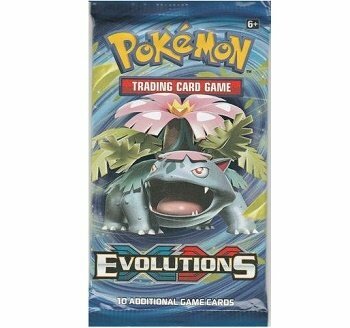 Right now that’s the Evolutions expansion. In this expansion, trainers get to do Mega evolutions of their favorite characters. 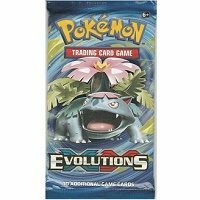 Look for Mega Venusaur-EX, Mega Charizard-EX, Mega Blastoise-EX and more. The great part about a gift like this is you can buy as much or as little as you want. If you’re looking for a big gift, get the Booster Box which includes 36 booster packs with ten cards in each. If you’re looking for a small gift, consider purchasing these boosters individually for around $5 each. That being said you’ll always get the best deal in bulk. 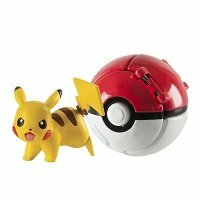 Want to throw a Pokeball in real life? Try Tomy’s Throw “N” Pos balls. They come in the standard Poke Ball, Ultra ball, Great Ball, and Premier Ball. 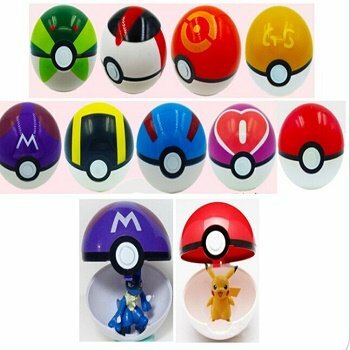 Depending on what ball you purchase you’ll get a Chespin, Fennekin, Froakie, and Pikachu. There’s a game that can also be played between two people throwing the ball. The person with the highest number of stars up wins. Overall, these are a lot of fun. 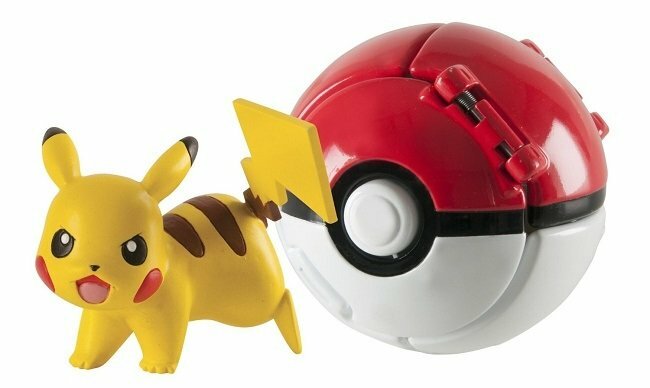 While you certainly can’t throw the ball from across the room it’s still a really cool toy for any Pokémon fan. If you’re looking for quantity and type, I like Moonideal’s 9 piece ball set for around $12. Each ball comes with a miniature figure. The balls themselves spring open and are attached so you don’t have to worry about separate halves. Overall this is a fun little toy for kids. Some of the figures leave something to be desired on their paint jobs, but it’s still a good value for the money you spend. Want to be the very best like no one was before? 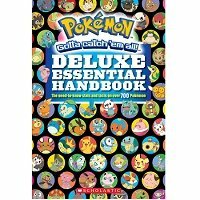 Here are some guides for everything from drawing Pokémon to knowing class type as well as everything you can about the Pokémon you capture. 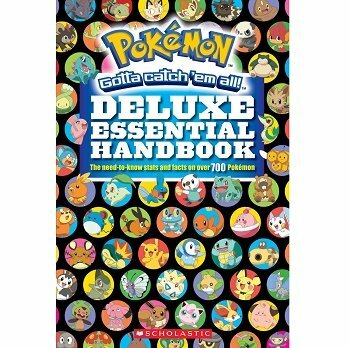 Each page is beautifully illustrated and teaches the above about over 700 Pokémon. I’ve gone through this book and my kids seem to use it just about every day. It’s a must-have for any serious fan. If you can afford the library binding version, I highly recommend it as it’ll hold up quite a bit better than the paperback. Still, either version is made well and will last if you take care of it. Have an aspiring artist in the family? Why not learn how to draw all the Pokémon. It’s a lot of fun and with this book, it’s fairly easy to learn how. My 9-year-old is now able to draw a few of these well enough that it looks just like the real thing. This book certainly isn’t all-inclusive and is actually only 32 pages long. Still, it’s fun to learn how to draw the 18 different Pokémon they include as well as Ash’s team. 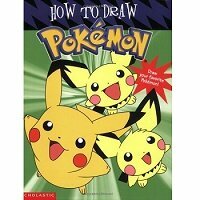 In this book you’ll learn to draw; Iggly Buff, Chikorita, Cleffa, Totodile, Cyndaquil, Croconaw, Wobbuffett, Pikachu, Pichu Twins, Togepi, Meowth, Houndour, Gyarados, Ursaring, Lugia, Entel, Ash and Pikachu, and Ash’s Team. Whenever I play a Pokémon game I have to do everything in it. 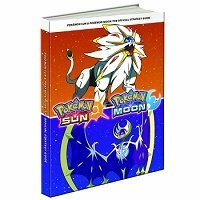 If you want to know all of the strategy, secrets, locations, and extra information about upcoming Pokémon Sun and Moon, then this book is your friend. 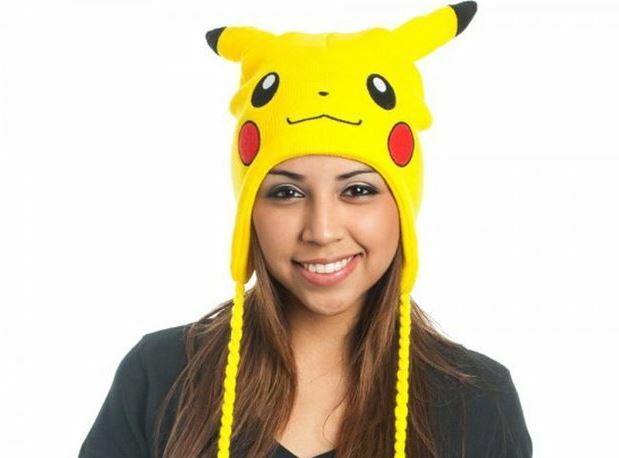 Want to look like a Pokémon trainer? Here’s the swag you need to do so. 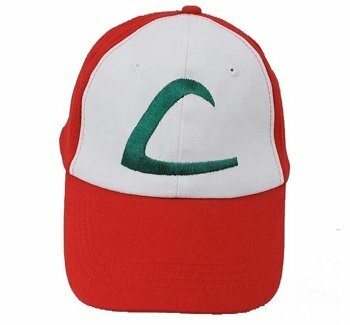 Ash Ketchum’s hat from the original series is one of the most iconic pieces of clothing in the Pokémon series. Now you can own it. For the price of around $10, I thought this hat would be very poor quality. I was pleasantly surprised that it was more of a moderate quality. No, it’s not your perfectly fitted hat. Yes, the one size fit all does fit my relatively large head. As I simply wanted it for my son when we’re playing Pokémon Go, it worked perfectly. The circumference can be adjusted to a maximum of 22 inches. My kids love to wear these rubber bracelets for a variety of things. While my older son prefers to wear his Stephen Curry gear when he goes out, my younger son loves these Bracelets. For around $10 you get 12 different bracelets. These are great for a party or just if you want a good variety. The detail and quality of the Pokémon are surprisingly good. Because of his close involvement with the television series, Pikachu is certainly the most iconic Pokémon. If you’ve been to any conventions, you’ve probably seen these types of Beanies around. They’re fun, comfortable, and for a great gift. As far as quality it’s not perfect. For us, one of the Poke balls fell off after a couple of months. We sewed it back on without a problem. Unfortunately, that goes for a lot of unofficial products. Still, it’s good enough for a costume party, convention, or just wearing around. What team are you on? Now you can let everyone know by wearing these affordable team pins from Pokeswag. 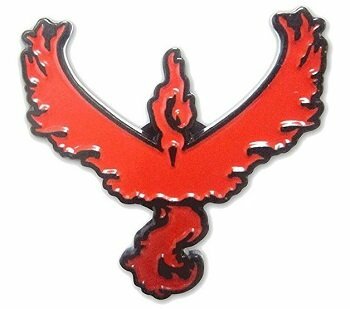 The pins come in single or five-packs and feature the Team Instinct Zapdos, Mystic Articuno, and Valor Moltres symbols. 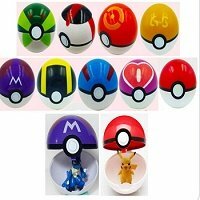 Other options from PokeSwag include gym badges sold in similar quantities and for the same price. If you play Pokémon Go, this is another great way to show your team pride. The pins are well-crafted and child safe as the designs have no pointy edges. My kids wear them on their backpacks walking to school. Overall, they’re a lot of fun and relatively inexpensive at around $7.50 for one or $30 for a five-pack.